Best Value in Sarah Smith! Move in as is, renovate, or tear down and build your dream home. Spacious meticulously maintained traditional 4-sided brick ranch has 4 large bedrooms and 3 baths. Cozy Family room w/ fireplace and built-ins lead to enclosed sunroom and private fenced flat bkyard. Sep. Living Rm w/ fireplace opens to Formal Dining Rm. Renovated Terrace level w/Oversized Rec. Room and Sitting Area. Private bedroom and bath. Amazing location surrounded by Multi-Million Dollar Homes. 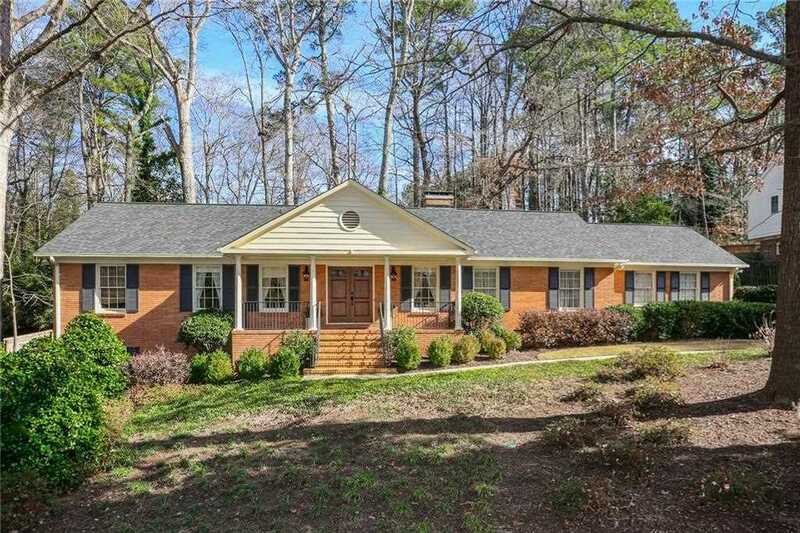 Close to Chastain Park, Lenox, Phipps and Restaurants. A True Must See! Directions:Inside 285 Peachtree Dunwoody to Loridans. Left on Mcclatchey Circle. House is on the left. Also, Wieuca to Loridans to right on Mcclatchey Circle. SchoolsClick map icons below to view information for schools near 4325 Mcclatchey Circle NE Atlanta, GA 30342. Home for sale at 4325 Mcclatchey Circle Ne Atlanta, GA 30342. Description: The property at 4325 Mcclatchey Circle Ne Atlanta, GA 30342 in the North Buckhead subdivision with the MLS# 6120915 is currently listed for $630,400 and has been on the market for 92 days. You are viewing listing details of the home for sale at 4325 Mcclatchey Circle Ne Atlanta, GA 30342, which features 4 bedrooms and 3 bathrooms, and 2987 sq.ft. of living area.